ST. LOUIS, MO – Edge Technologies has announced the hiring of Steve Goron as their new Regional Sales Manager for the North Territory, which includes Minnesota, Wisconsin, Iowa, Nebraska, North and South Dakota, and Northern Illinois. Goron has over 25 years experience in the machine tool and manufacturing industry, beginning his career as a Service Technician for Mitsubishi EDM. Soon after, he was promoted and spent 5 years as the client and staff Training Manager for New Jersey, California, and Chicago. Later he combined his mechanical abilities and superb product knowledge with his excellent interpersonal skills and became a Regional Sales Manager. There he demonstrated his leadership abilities by cultivating business development, successfully introducing new product, and maintaining account management of a $5 million region. He helped grow sales and retain up to 60% of the market share in the Midwest and achieved consistent sales volume increases over the period of 8 years, all the while being the youngest sales manager in the company. 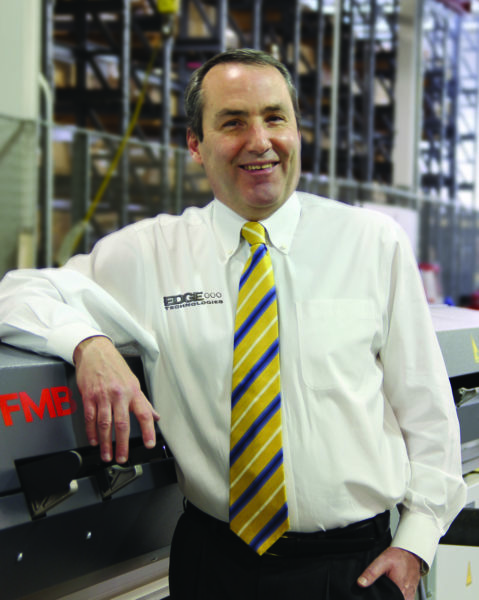 Goron went on to spend the past 6 years as the Regional Manager at Schutte USA. He was responsible for managing accounts inside his territory, and some outside of his normal three state region, and through initiative and innovation, sold the first of Schutte’s latest technology in Illinois. In addition to developing relationships with Tool Grinder and Multi Spindle customers, he demonstrated his exceptional creative problem-solving and multi-tasking ability to grow Schutte’s Tool Grinder accounts by 60% in tool room applications through networking, referrals, and presentations, in addition to providing unparalleled customer service.